My Favorite Tech Tools for Communication and Collaboration | The Techie Teacher® . 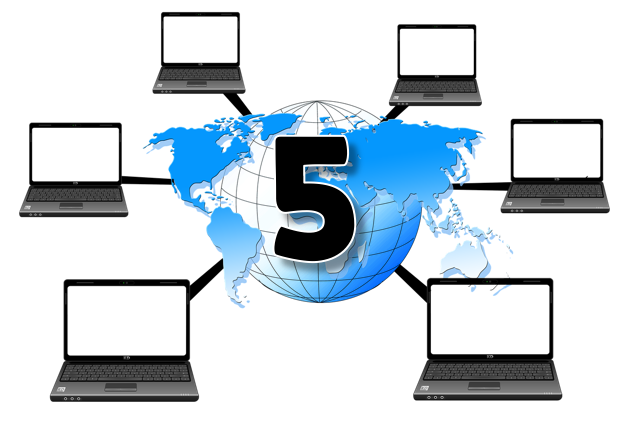 My favorite aspect of educational technology is the ability for students to communicate and collaborate with others all over the world. Google Hangouts, Skype and other video communication tools make global learning explode in today's classroom. Our time together is always so limited that we have to get students into a program and working ASAP. 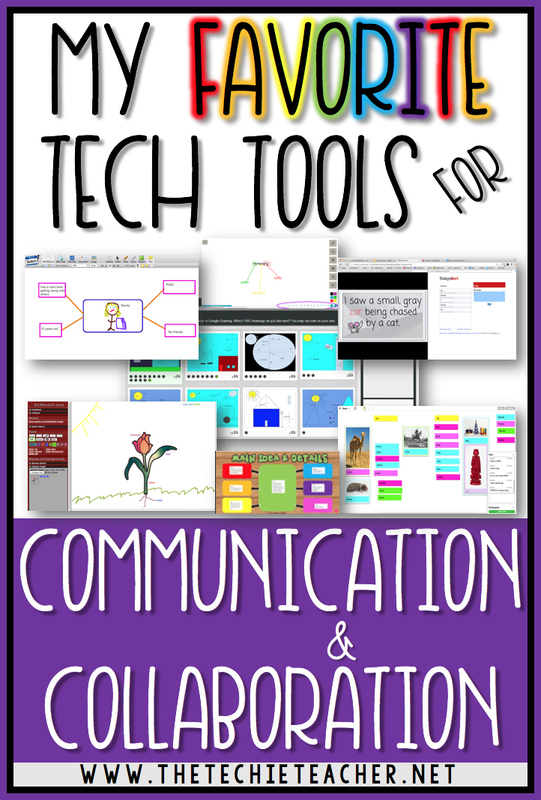 Here are some of my favorite classroom tested tech tools that I like to use with elementary students who are learning how to communicate and collaborate digitally with others. 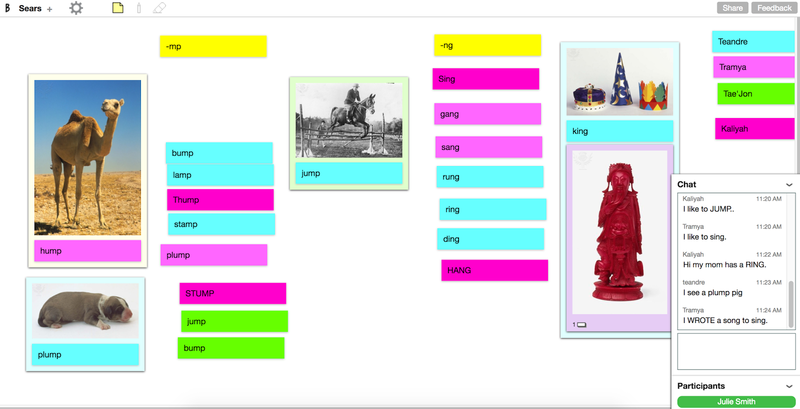 This is a great tool for brainstorming as a group and/or sharing creations. Click HERE to read more about this amazing tool over on Richard Byrne's blog. 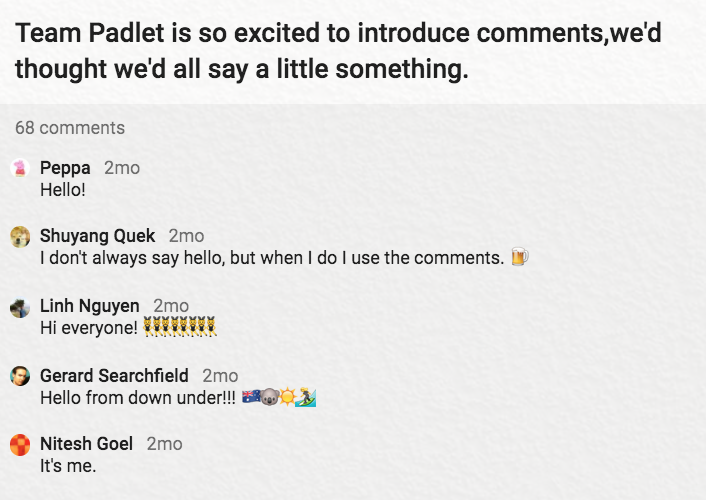 Padlet: I can't write a collaboration post without mentioning Padlet! I believe this was the first web tool I ever used that had the ability for multiple people to hop on and work together by clicking on a single link. Yes, I used this before my world was turned upside down by Google Drive. 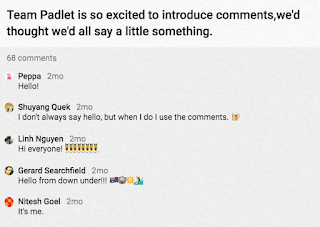 Padlet is a lot like Dotstorming except it does not have the ability to vote on different posts. However, students can upload images, gifs, videos and use the built in webcam! 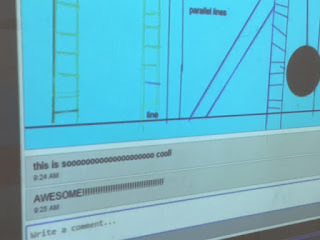 What is really neat about Padlet is being able to change the background to the wall. 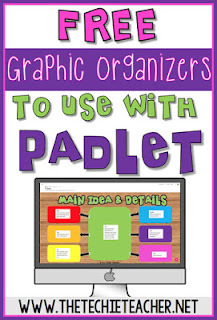 You can read THIS blog post about how to customize a Padlet wall and grab some FREE graphic organizers I created for you to use with Padlet. There are lots of ways the teacher can customize as well as restrict the board his/her students work on. It is also available as an app! BoardThing: This is another collaboration board like the two mentioned above. Check out THIS blog post to read all about it. In a nutshell, a BoardThing board can be accessed with a single link set up by the teacher. 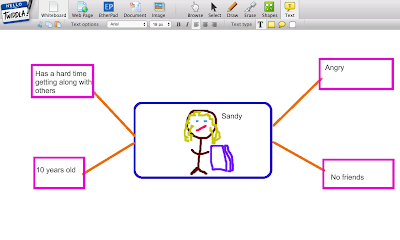 Students can add notes and attach pictures. I really like the chat feature that comes along with this tool so students can share and plan before creating on the board! It will even work on an iPad browser. 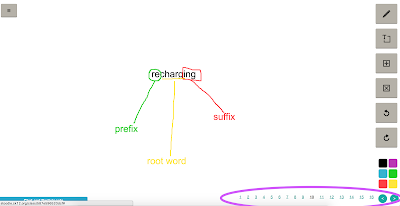 Twiddla: I love how this web tool claims to be browser-agnostic😂 With this tool students have the ability to collaboratively mark up websites, graphics and photos, write together on the EtherPad or choose to simply brainstorm on a white canvas. You also have the ability to upload documents. 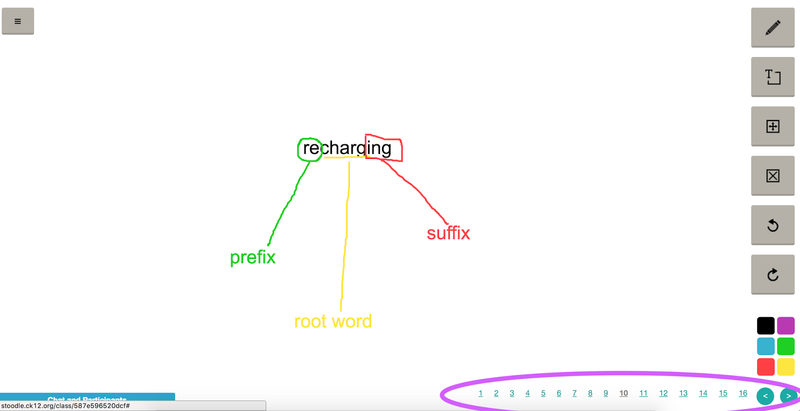 I really like the shape tools which can be used to create mind-maps! Students join the Twiddla board by clicking a single link set up by the teacher. In order to save work you must have a paid account or be working during your free trial window. 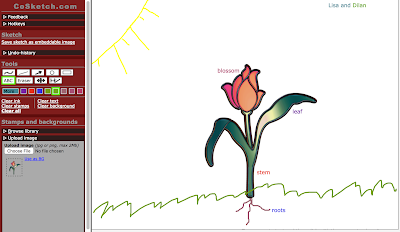 I usually create the Twiddla boards without signing in and just have students take screenshots of their work! Stoodle: This tool is a great one to use, especially with the little ones! Students can access the board via a single link and have the ability to draw, type and upload images. 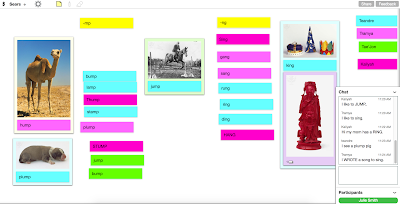 One of my favorite ways to use Stoodle is creating ONE board and adding pages at the bottom of the board. 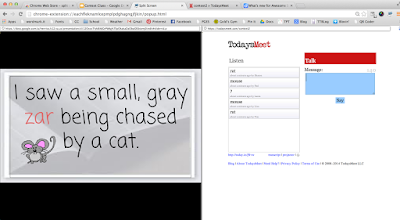 Each student (whether they are in your classroom or half way around the world) can hop onto their page either individually or with a partner to create. Once everyone is finished, they can click on the other numbers and check out what everyone created on their page. It is almost like a collaborative digital book! 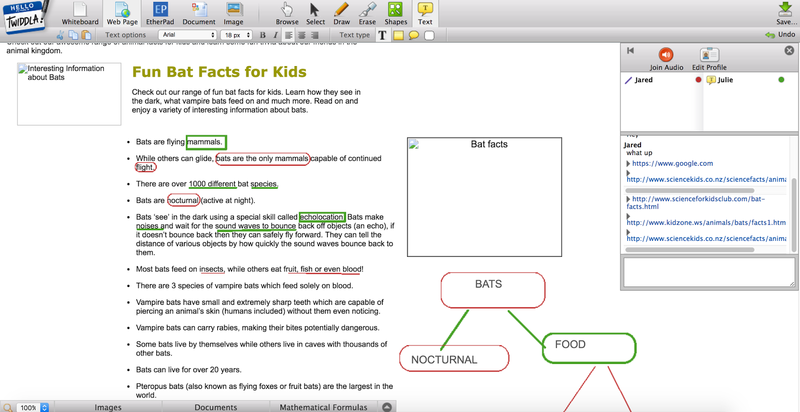 Students can solve math problems, draw & label diagrams, type sentences and so much more. 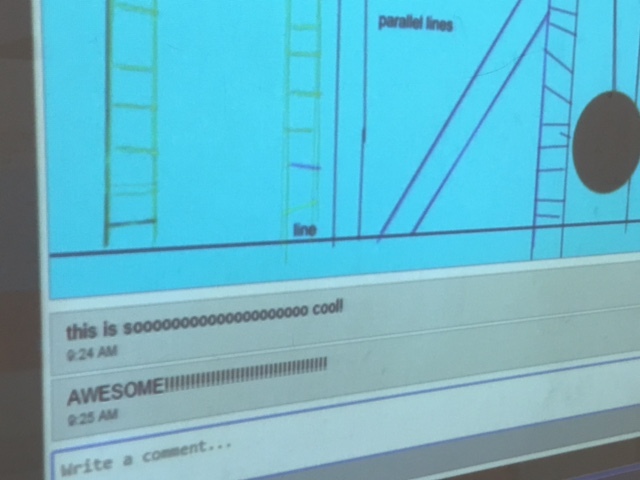 I also like the chat feature for students to share and plan together before working on the board. That was what I did for the lesson you can read about HERE. UPDATE! Unfortunately after 10 wonderful years, Today's Meet has shut down. Today's Meet is a great way for students to communicate with one another. It is a simple backchannel for chatting/talking to one another. I have used this tool not only for sharing ideas but also for guessing games for teaching context clues, making inferences and other reading skills. Ditch That Textbook has a wonderful post about 20 ways to use this tool in your classroom. Check it out HERE. The teacher creates the chatroom and shares the single link with students. Google Drive: One of the first questions I ask elementary educators that reach out for lessons ideas is, do your students have access to Google Drive? I honestly don't know how I could teach without it! Drive is a digital powerhouse. There are so many digital activities that promote communication and collaboration within Google Drive. 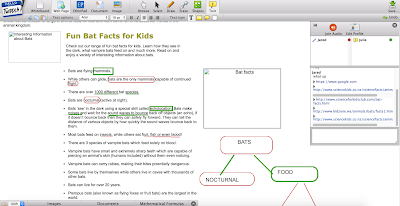 Students can take notes together in Google Docs, create group presentations in Google Slides, construct diagrams together in Google Drawing, collect and analyze data in Google Sheets and the list goes on and on. 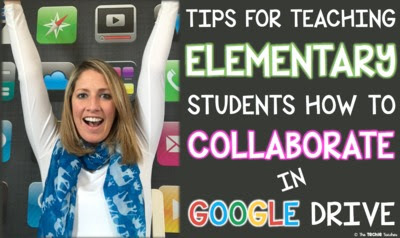 I especially love using Google Drive for collaborative projects like Design an App Collaborative Class Project or create Collaborative Digital Books. 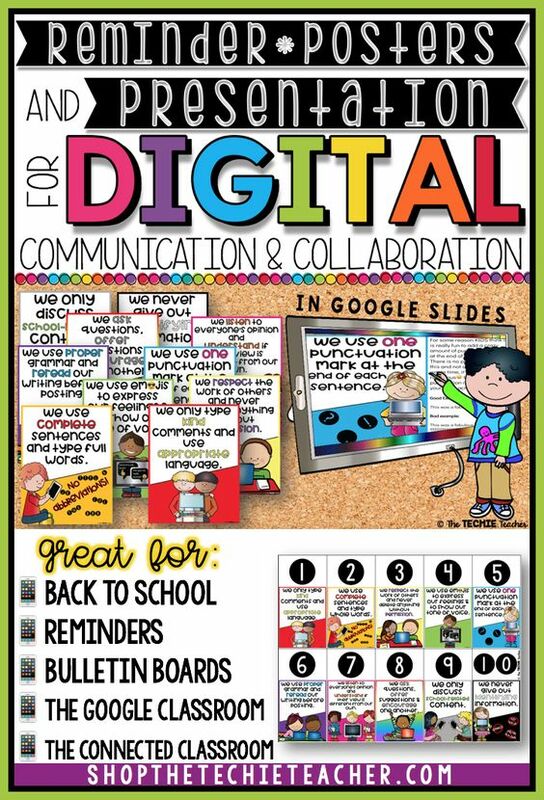 You also might be interested in my Reminder Posters and Presentation in Google Slides™for digital communication and collaboration that can be found in my TpT Store. This is awesome! Thank you so much for this post. One of my graduate projects is specifically on this topic so this has been VERY helpful!